For National Football Authority, we talk to new Colts DE Cory Redding. We find out why he chose to leave Baltimore and follow head coach Chuck Pagano to Indy, whether the Colts are switching to a 3-4 defense, what that might mean for current Colts DEs Robert Mathis and Dwight Freeney. Click here to read all about it. Each week, we focus on one game and share our thoughts on it, both from an on-field perspective and a fantasy football perspective. This week, we’re focusing on the upstart Chiefs’ trip to Indianapolis to face the stalwart Colts. The Chiefs played tough, especially defensively, but couldn’t punch it in the end zone as the Colts fought their way to a 19-9 victory. Despite the loss, in our minds this game solidified the Chiefs as an AFC West contender. They have a good, maybe even great, defense and a terrific running game. The passing game keeps them from being an elite team, but it won’t surprise us to see the Chiefs end up with nine or 10 wins. *The Colts’ offense struggled against a Chiefs defense that has a lot of good young players. But the fact that Indy looked out of sync should concern Colts fans. Yes, Pierre Garcon and Austin Collie were playing at less than 100 percent, and Joseph Addai had to leave the game in the third quarter. But despite those injuries, Peyton Manning completed fewer than 60 percent of his passes (26 of 44), and the Colts just didn’t look sharp. Dallas Clark did very little (in part because of Mike Vrabel coverage), while Reggie Wayne had little second-half impact. Yes, the Colts put together a key drive in the fourth quarter to put the game away, but this was far from a vintage Colts performance, and Indy needs to show it can still can create those vintage efforts. *The Chiefs’ offense also struggled, but that’s because of a talent gap. QB Matt Cassel (16 of 29, 156 yards) just isn’t consistent enough to keep the chains moving regularly, and he doesn’t have premium outside targets. Dwayne Bowe (see below) is quickly moving into disappointment territory, and Chris Chambers showed little of the pop he added last season. RB Jamaal Charles is explosive, and rookies Tony Moeaki and Dexter McCluster can make big plays as well, but K.C. needs to upgrade its wideouts before Todd Haley’s offense can really get going. *Chiefs DT Glenn Dorsey, who was considered a bust in his first couple of NFL seasons, has emerged under defensive coordinator Romeo Crennel this year. Dorsey made a big play by creating a push and breaking up the rhythm of a Addai fourth-down run late in the first half. Dorsey’s pressure enabled Jon McGraw to come up and stop Addai short. Dorsey later had a big tackle for loss against Addai in the third quarter. It’s good to see Dorsey, a former top-five overall pick, living up to his promise. *While Dorsey is playing pretty well, Tamba Hali is the Chiefs’ best defensive lineman. Hali is built like Indy’s Dwight Freeney, and he out-Freeneyed the Pro Bowler through much of the game. At one point in the third quarter, Hali hit Manning hard three times in a few plays, with the final hit causing a fumble that the Colts fell on. Hali’s pass-rush ability adds a frightening dimension to a solid Chiefs D.
*Kansas City also has some good young corners. Brandon Flowers shut down his man through most of the game, and he made a terrific play to break up a deep pass to Garcon in the fourth quarter. Brandon Carr and rookie nickelback Javier Arenas are also talented, although Manning picked on them a little more effectively. Still, that’s a good group who gives the Chiefs the ability to have not just a good defense but a great one. *The big hit award for this game goes to Colts S Antonie Bethea, who crushed Jamaal Charles late in the first half to force a fumble that the Colts recovered. *Chiefs PK Ryan Succop was Mr. Irrelevant as the last pick in the 2009 NFL draft, but he’s emerged into a dependable placekicker while also serving as a strong-legged kickoff man. Although he missed a 51-yarder late, he’s an asset. It’s hard to find guys in the NFL who can do both, which makes Succop a nice find for the Chiefs, especially with the last pick of his draft. *Cheifs WR Dwayne Bowe has gotten a lot of fantasy football respect, but he’s no longer a guy who’s worth starting because he’s not dependable. Bowe dropped consecutive passes in the third quarter, including what should have been a 30-yard touchdown. Even worse for Bowe owners, the Chiefs used a lot of two-TE, two-RB sets that featured Terrance Copper out wide instead of Bowe. Bowe has just one touchdown this season, and he’s not getting enough targets to overcome drops and post decent fantasy numbers. Sit him. *Mike Hart, who became the Colts’ only running back option after Addai got hurt, did a good job punching it inside and ran for 50 yards and a score. If Addai can’t play next week and Donald Brown remains sidelined, Hart’s not a bad fill-in next week against Washington. *Charles is really the only Chief offensive player you can start with confidence. Thomas Jones has had a few decent games, as has Moeaki, but Charles (87 rushing yards, 14 receiving yards) is the one Chief who consistently posts 100 yards from scrimmage week after week. *Wayne, Garcon, and Collie each had at least five catches for the Colts, and so even in a game when Indy didn’t throw for a touchdown, they all had some fantasy value. We still prefer Collie to Garcon over the rest of the season as long as health is not an issue, but it’s going to be close. The first round of the 2010 NFL draft is in the books, and we have thoughts on what happened – and what should have. Some of these are the best of our draft-night tweets; others are thoughts on further reflection. We’ll go by division so you can easily compare teams against their biggest rivals. We’ll do a full draft recap next week after all seven rounds are complete; in the meantime we’ll tweet more thoughts throughout the weekend. At pick 9, Buffalo picked RB C.J. Spiller, which was a bit of a surprise. But Spiller was the most explosive offensive player available, and those picks between 7 and 10 didn’t really offer wonderful value. So we approve of the Bills taking the best available guy. We had Jimmy Clausen projected to go to Buffalo in our mock, and if the Bills like him they can still move up a few spots in the second round to get him. … The Dolphins started the night with the 12th pick, but they traded down to 28 and still got a solid 3-4 defensive end in Jared Odrick. Miami added the 40th overall pick in the deal (while giving up a sixth and moving back in the fourth), so they got great value for the move and got back a pick better than the one they traded for Brandon Marshall. The Fins could target a pass-rusher like Everson Griffen at 40 and end up really helping their front 7. … The Patriots started at 22, traded down twice and turned a fourth into a third, and still ended up with CB Devin McCourty, who they probably would have taken at 22. Give the Patrtiots credit for actually pulling the trigger and taking the guy they wanted instead of trying to extract value to the point that they didn’t get someone who could help now. … The Jets stayed put at 29 and got lucky that Kyle Wilson came to them. As Peter King said, Wilson teams with Darrelle Revis and Antonio Cromartie to give the Jets a murderer’s row of corners that could help them leap over the Colts’ passing game in the AFC. The Browns got stuck at 7, which was the start of the second tier of prospects, as Pro Football Talk correctly diagnosed. In that situation, CB Joe Haden was a fine choice. Haden was the top corner in the draft, and he’ll help, and moving down wouldn’t have gained the Browns much. Now today, the Browns are in position to get Clausen or Colt McCoy, who seems to be more their style. … The Steelers took C Maurkice Pouncey at 18, which was a solid pick who really addressed a huge need. That’s not glamourous, but it will work. … The Bengals took TE Jermaine Gresham at 21 (as we projected in our mock), and that will really help their offense. This is an over-the-top move for the Bengals, but they have built their roster to the point that such a pick makes sense. … The Ravens traded out of the 25th pick, moving down to 43 with their first pick while adding third and fourth rounders. In a deep draft, that’s not a bad strategy. We’ll see if they can add some defensive end depth with their picks today. The Jaguars at 10 took the biggest reach in the first round in taking Tyson Alualu. But if the Jaguars believe Alualu was the best defensive tackle left, and if they couldn’t trade down, the pick is excusable. Maybe Jacksonville should have traded down, but maybe the value for such a move wasn’t there. Regardless, they had better hope Alualu pans out. … The Titans at 16 had to get a defensive end, and while they apparently coveted Jason Pierre-Paul, Derrick Morgan is a terrific consolation prize. Given the prowess of DL coach Jim Washburn, Morgan might be the luckiest guy in the draft. … The Texans at 20 didn’t get a shot at Ryan Mathews because of the Chargers’ big move, so picking a cornerback in Kareem Jackson made sense. Michael Smith did a great job explaining why Jackson, not Kyle Wilson, was the Texans’ choice. … Most people had the Colts at 31 looking at the offensive line, but DE Jerry Hughes is a Dwight Freeney/Robert Mathis type of small but speedy pass rusher. He’s a perfect fit for Indy’s system. The Chiefs made lots of noise about whether they would take S Eric Berry at 5, but he was the right guy. K.C. already has invested a first-rounder in LT Branden Albert, and Berry was the only option worth that pick. As we tweeted, he can be the Rodney Harrison in this Patriots-style defense. … At 8, the Raiders picked one of the most solid players in the draft in LB Rolando McClain. McClain might have been a tiny bit of a reach, but if he plays well for Oakland this will go down as a great pick and a great value for Oakland. We have nothing but props for Al Davis after this pick. … The Chargers gave up the 40th pick (the Charlie Whitehurst reward) to move up from 28 to 12 to take RB Ryan Mathews. He fits a need, and the Chargers have always been aggressive about getting the guy they want in the draft. Maybe they overpaid, but this contending team filled it’s biggest need, and that’s a good thing. … We had anticipated the Broncos taking WR Demaryius Thomas in the first round at no. 11, and so it made sense to us that Denver took him over Dez Bryant at 22. The Football Scientist K.C. Joyner liked the pick, and we do too, although the ESPN report that the Broncos said Thomas reminded them of Brandon Marshall made Josh McDaniels look petty. But that pick was far better than McDaniels’ decision to move back in the first round to take QB Tim Tebow. Tebow has great intangibles, but he’s such a project that he won’t help the Broncos now. McDaniels has the confidence he can develop Tebow; we don’t – as this sarcastic tweet proved. With all its wheeling and dealing, the Broncos turned their second-rounder into a first and their fourth-rounder into a third, so McDaniels did a good job there. The Redskins had no choice but to take an offensive tackle at No. 4, given their needs and lack of draft picks, and they took the right one in Trent Williams. Williams has all the athleticism and skills to be Mike Shanahan’s next Ryan Clady; now Williams must prove he has the desire to do so. … The Eagles leapt up from 24 to 13 to take Brandon Graham, and it makes a lot of sense. The Eagles know how to get the most out of speedy pass rushers from defensive end, and Graham was the best of that type of player available. Giving up two thirds to move up was a stout price, but for a contender such a move makes sense. … The Giants missed out on Rolando McClain, so they added a defensive end (as they usually do) by drafting Jason Pierre-Paul. JPP is a great physical specimen, and Mike Mayock praised his consistent effort. Tools plus effort should spell success for Pierre-Paul. Now the question is whether Pierre-Paul’s arrival on the clock means Osi Umenyiora is on the block. … The Cowboys also moved up, from 27 to 24, to ensure they got WR Dez Bryant once Bryant fell down the boards. Bryant is a physical freak, and Jerry Jones decided he wasn’t passing on a Randy Moss type of talent again. While receiver wasn’t the Cowboys’ great need, Bryant was a good value. The Lions got not just a great player but a great fit for the defense in DT Ndamukong Suh at No. 2. He got high praise from MovetheSticks.com. Then Detroit traded back into the first round to take RB Jahvid Best at 30. Best is a talented breakaway back, but the question is if he can stay healthy enough to be a true building block. Still, he’s worth a shot for the Lions. 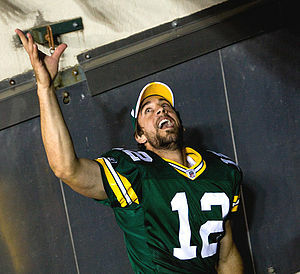 … The Packers stayed put at 23 and lucked into OT Bryan Bulaga (which made Aaron Rodgers happy). We’re not sold on Bulaga as a for-sure left tackle, but the Packers have needs at both tackles in the long term and at guard in the short term, and Bulaga can answer those needs. At 23, he was a no-brainer. … The Vikings, slated to pick 30, traded with the Lions to move down four slots. They have the second pick tonight, but trading down cost them a shot at Patrick Robinson, the last of the first-round corners. That might be a sore spot in the Vikes’ war room today. … The Bears gave up their first-rounder in the Jay Cutler trade, and they’re not on the clock until midway through the third round tonight. The Buccaneers got an ideal Warren Sapp/John Randle style of three-technique defensive tackle in their 4-3 defense by picking Gerald McCoy at No. 3. McCoy apparently has the personality to be a team leader, not just a dominator, which is a big plus as well. … Atlanta got left out of the defensive end run, so at 19 they took OLB Sean Witherspoon. Witherspoon should help bring more dynamic play to a linebacker corps that features a good young middle ‘backer in Curtis Lofton but no big-play makers. … New Orleans took CB Patrick Robinson at No. 32, which was good value. That could allow the Saints to move last year’s first-rounder Malcolm Jenkins to free safety to replace Darren Sharper. Regardless, Robinson adds depth to an area that was exposed even in the Super Bowl last year. … Carolina didn’t have a first-round pick, and now they must fight the temptation to trade next year’s first to move up in the second round to take Clausen or Colt McCoy. The first two hours of tonight’s festivities will tell us a lot about the Panthers’ willpower. The Rams did what they had to do in taking QB Sam Bradford. He’s a building block who has a full tool belt himself but not a lot of co-laborers. (Proof positive: This stat from Michael Smith.) St. Louis still has a long way to go talent-wise, but if they can keep Bradford together physically and mentally, he’ll be a part of the solution. … Seattle had two picks at 6 and 14, and in both spots good players slipped to them. The Seahawks should consider themselves lucky to land OT Russell Okung and S Earl Thomas. As we tweeted, it’s a much-needed talent upgrade for the Hawks. … San Francisco got tough with its two picks, trading up two spots to take OT Anthony Davis at 11 and then taking OG Mike Iupati at 17. Those guys should help a run game that sputtered last year and provide some punch to an offense for a team with a playoff-ready defense already. … The Cardinals stood pat at 26 and ended up getting NT Dan Williams, who’s a great find at that point in the draft. Williams may not be a game changer, but he can plug the nose of the defense well enough to set other playmakers like Darnell Dockett and Calais Campbell free. The Cards, like the Jets and Packers, had the first round break just right for them. Last year leading up to the draft, we took on the project of analyzing which positions in the draft had the greatest boom and bust percentages in two posts (offense and defense). But as we did that project, we realized that there is another level we need to analyze. In the top 16 of the draft (top half of the first round), teams aren’t merely looking for good players – they’re looking for great players. So we are looking at superstar percentages by position this year. Here’s the methodology: We looked back over the drafts from 1997 to 2008, analyzing the first 16 picks in each draft. We charted how many players were drafted at each position, and then we picked the guys at each position that have become superstars. We left out the 2009 draft, since it’s too soon to indicate that any of those players are superstars. After we make our calls about who the superstars are and find a percentage, we’ll list guys who we left off the borderline of superstars. We did this so that you can change percentages on your own if you disagree with a call about who’s a superstar and who’s not. We also refigured the bust percentages from last year’s post on defense and included them below, for the sake of analysis. What we learned: Defensive end has been a trouble spot in the past, but as more teams move to the 3-4 defense and look for the Ware or Suggs types to serve as designated pass rushers, it seems as though teams are having a little better luck. But this year’s draft crop features more pure 4-3 ends like Derrick Morgan and Jason Pierre-Paul, while the 3-4 pass rushers like Brandon Graham are not as highly rated. Jared Odrick fits as a 3-4 end, which is a need position that led to Tyson Jackson being overdrafted last year. But because there’s no Ware/Suggs/Merriman type, this crop of defensive ends feels a little riskier than the crew in recent years. What we’ve learned: Defensive tackle has always been a risky proposition, and only few of the players drafted that high have turned into game-changers. So it’s interesting to think, based on that historical perspective, about how highly Ndamukong Suh and Gerald McCoy are rated this year. History says one, if not both, will struggle, but evaluators are in love with both players. We like both players, but the superstar percentage is a question mark we’ll raise. Oklahoma’s Dan Williams, who can play inside in a 4-3 or a 3-4, could also jump into the top 16 in this year’s draft. What we learned: No position has been a safer bet at the top of the draft than linebacker, which features a bust percentage of 0. But there aren’t many true game-changers in this crew either. It’s hard for a linebacker to go from a highly productive tackling machine to a game-changing impact player unless he’s a pass rusher, which accounts for the difficulty in moving up to the superstar level. So Rolando McClain and Sergio Kindle appear to be very safe picks in the teens, but teams should wonder whether they’ll break through to be impact players. We think Kindle can make that jump because his pass-rush ability, but McClain seems to be more solid than spectacular to us. What we learned: The cornerback bust percentage isn’t that daunting, and the reward for taking a player that highly can be huge, as the superstar percentage attests. Unfortunately, there’s not a Bailey/Woodson level talent in this year’s draft. The top cornerback, Joe Haden, is probably closer to the Newman/Trufant/Jammer class. All of those guys have had good careers, but they don’t reach shut-down corner status. Still, the history suggests Haden is a pick with reasonable risk and achievable reward. What we learned: Safety isn’t often a position that moves into the top 10, with Rolle, the late Taylor and his successor LaRon Landry as notable exceptions. But there have been a couple of superstar hits at the position, which should encourage teams who are enamored with Eric Berry’s potential this year. Positional dynamics could push Earl Thomas out of the top half of the first round, but he too has the change to be an above-average safety for a team. There’s not a lot of history here, but it’s enough to suggest that Berry can be a nice investment, especially if he falls to pick 5 or below. Here are thoughts on the Saints’ 31-17 victory over the Colts in Super Bowl 44. *Sean Payton pitched a perfect game for the Saints in the coaching department. A lot of times, we pound on coaches for bad game-management decisions, but Payton was spot on in this game. His decision to go for it on fourth-and-goal in the second quarter didn’t pay off with a touchdown, but the Saints still got a field goal before the half based on field position, and more importantly they kept Peyton Manning from mounting a two-minute drill drive. Then the onside kick to start off the second half obviously was a huge gamble that paid off by giving the Saints their first lead. Payton also correctly challenged on the two-point conversion in the fourth quarter. That’s a strong performance from a coach who wasn’t afraid to lose and instead played to win. *Jim Caldwell, meanwhile, made the game’s crucial mistake by attempting a 51-yard field goal in the fourth quarter. When you think of trying a 51-yarder with a 42-year-old kicker, it just sounds like a bad idea, and even though Matt Stover had hit 16 straight postseason kicks, he barely got the kick there. It seemed like there was a 30 percent chance, tops, of that kick making it. An incomplete pass would have saved the Colts seven yards, and a punt could have buried the Saints deep and perhaps taken the aggressiveness out of Payton and Drew Brees. In a game that didn’t have a turnover or a play longer than 27 yards until Tracy Porter’s late interception return, that missed field goal was a huge turnaround. *Obviously, Drew Brees had an epic performance in the game, completing 18-of-19 passes at one point and finishing 32-of-39 for 288 yards. In a game without big plays, accuracy is what kept drives moving, and Brees was just a little better than Peyton Manning in this game. That’s not to say Manning was bad, because he was at least good. But Brees put together a great performance. *Again, in a game where there was only one turnover and just 64 penalty yards combined, mistakes that are usually smaller like dropped passes played a much bigger role. Marques Colston’s drop in the first quarter slowed the Saints down, while Pierre Garcon’s drop in the second quarter seemed to stymie the Colts’ momentum for a whole quarter. Garcon has a ton of talent, and he had a productive game with 5 catches for 66 yards and a touchdown. But the young receiver had two key mistakes in that drop and then the fourth-quarter offensive pass interference that really hurt his team. Those mistakes loomed large in this one. *Before the game, I tweeted that I saw a game with more running and more of a grind-it-out affair. And while my Pierre Thomas as MVP prediction didn’t come through, Thomas was important with 85 yards from scrimmage and a touchdown. For the Saints, the grind-it-out came as they dumped the ball off time after time instead of taking bigger shots deep. 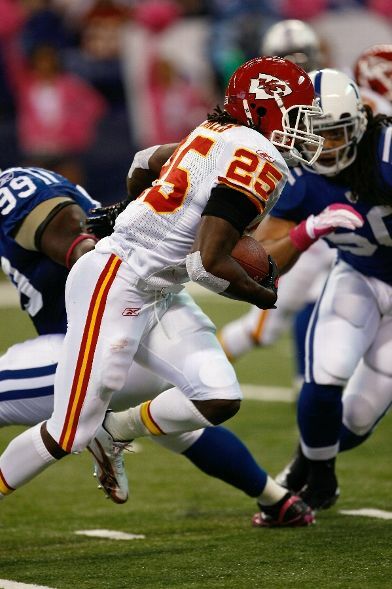 For the Colts, they relied on Joseph Addai, who had a big game with 135 yards from scrimmage and a touchdown. Addai was the Colts’ best offensive player in the game. *Dwight Freeney had the game’s only sack, and while he didn’t make a huge impact it was good to see that injury didn’t keep him from playing or limit him to the point that he’ll regret how he could have played. But the Colts’ best defensive player was Gary Brackett, who had 12 solo tackles and the key fourth-and-goal stop in the second quarter. *Thomas Morstead was the crazy kicker of the Super Bowl with his terrific surprise onside kick, but Garrett Hartley deserves props for becoming the first kicker in Super Bowl history to make three field goals of 40 yards or more in a Super Bowl. It’s interesting to consider how both of these teams had kicking decisions to make late in the season. The Saints went with the young Hartley over veteran John Carney, and that paid off in both the NFC championship game and the Super Bowl. The Colts went with Stover over Adam Vinatieri, and Stover missed (in a tough spot).